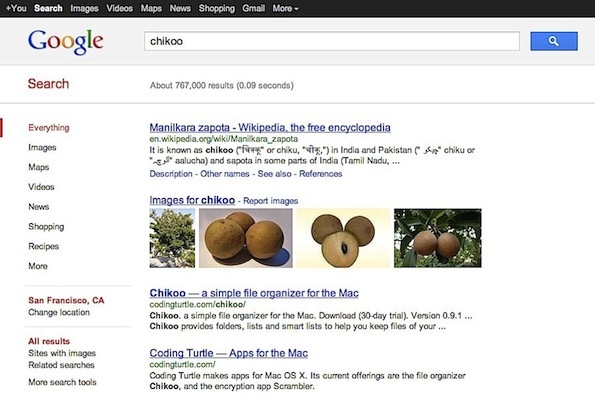 Fusing search with social: Google’s trump card? Google has unveiled the next step in its master plan by integrating its existing search service with its social networking products, and in turn presenting new opportunities and challenges for marketers. By integrating users’ search results from the wider web with results from their own social graph, Google may have played a trump card that will push its social network , Google+, to a wider audience, as there is no support for other social networks, a fact that has raised the ire of Twitter. ‘Search plus Your World’ will roll out beginning this week, allowing Google+ members to search against both the broader web and their own Google+ social graph. Two sets of results will appear for users who perform a Google web search while logged into their Google account, provided they have activated Google+. Forrester Research analyst Melissa Parish has suggested the move could benefit marketers by providing an additional metric to track for social media, by answering the oft-asked ‘What’s the benefit of amassing all these followers?’ question, and by accelerating the growth of a brand’s social audience (on Google+, at least). But the other side of that coin is that despite Google+ already having over 60 million members, activity doesn’t seem to be picking up. “For the virtuous circle to happen, good content and engagement has to be created in the first place – by both brands and users,” Parish says. That means brands will have to ensure they’re truly adding value by focusing on content that is relevant to the audience, not just making noise. Google’s rationale behind the move is to deliver more personalised search results, which may sometimes be items from the public web, while at other times include content such as text or images shared by a user’s network of friends. The move transforms Google into a search engine that ‘understands’ not only content, but also people and relationships. ‘People and Pages’, for finding profiles and Google+ pages related to a specific topic or area of interest. Google gives the example of searching for a vacation destination. Results will now turn up pages from the public web, but also posts about the experiences your friends have had on their vacations and pictures they’ve posted. This mirrors how information would be collected in the offline world, where influential people and your friends’ experiences are more meaningful than impersonal or official information sources. 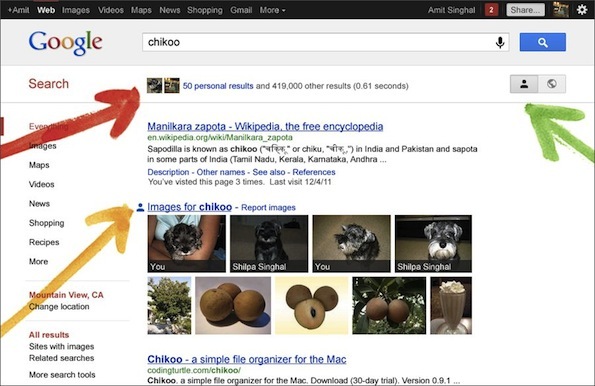 However, the integration of search into the results will only include Google+ content as the search giant does not have the same access to other social networks. And Twitter’s criticism has received at least partial support from telecommunications analysis firm, Ovum. “[It’s a]nother decision which threatens to further narrow the definition of evil in Google’s famous motto, ‘don’t be evil’, for a couple of reasons. Firstly, it risks further accusations that Google is unfairly cross promoting its own services over those of others. Secondly, it risks crowding users’ search results with items they may find less relevant, negatively impacting Google’s core value proposition,” says Jan Dawson, chief telecoms analyst for Ovum, while also pointing out that it’s not an altogether unsurprising move by the search giant.